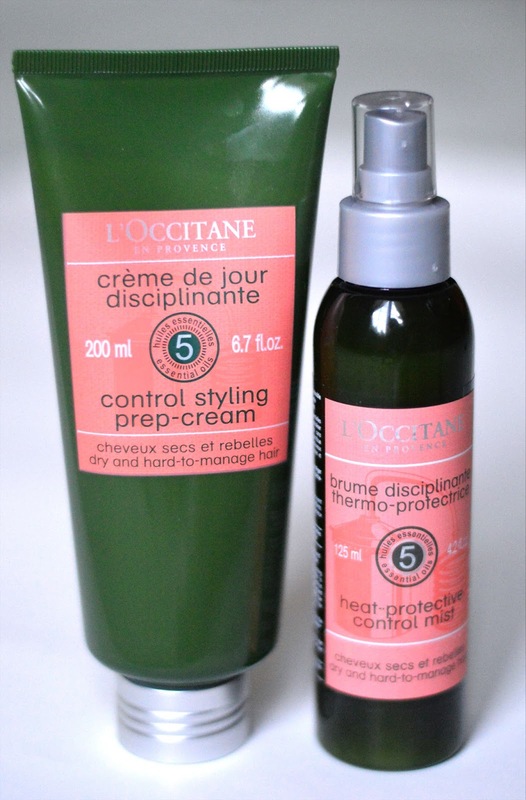 The first product I've been trying is the l'Occitane Control Styling Prep-Cream. My hair typically lacks volume on its own, so I wouldn't label it dry or unmanageable. Fortunately, this is a prime example of a multi-functional cream that can be used on all hair types. I hate the feeling of typical conditioner, which is usually a slippery blend of chemicals, coating the hair to make it feel more nourished. 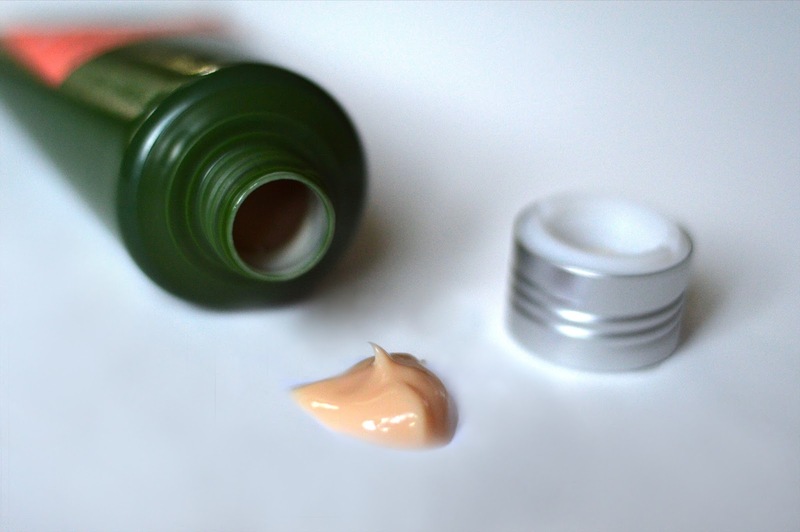 Thanks to its high-quality ingredients, this styling cream is formulated with nourishing jojoba oil and works wonders as a leave-in conditioner. I love using it before putting in my sleep-in foam rollers (see the routine here) as it leaves my curls looking smooth and frizz-free, while maintaining a healthy hair cuticle. P.S. I've never seen a cream tube with such a large opening! What a great idea, since it will be very easy to squeeze out the final remains of the product. It's such a nightmare having to pry open packaging at the very end. Next up is the Heat-Protective Control Mist. Applied to towel-dried hair, this spray "helps protect hair against damage from blow-dryers or hair straighteners (up to 230°C), leaving it smooth and silky". I've been loving this heat protectant as a styling aid right before blow-drying and straightening, or when using my hot-air spin brush (see the review here). I've noticed a much smoother, frizz-free and long-lasting style after using this mist. This review wouldn't be complete without mentioning the remarkable scent of these hair styling products. The complex mix of ylang-ylang, sweet orange, lavender, geranium and angelica essential oils is quite aromatic and rich. This is a mature scent that will linger slightly throughout the day. As for myself, I'm really looking forward to trying out their Volumizing Shampoo next time I'm in a l'Occitane boutique. The combination of sweet orange, mint, pine and rosemary sounds too good to be true.